Once you’re inside, the doors lock and the time starts. 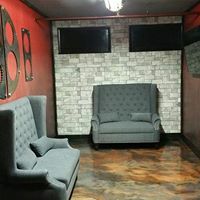 Race against the clock as you and up to nine others try to escape the best escape room attraction in Illinois in 60 minutes or less. Use clues to plan your next move, work your way through Intense puzzles, experience sights, sounds and even smells and try to be the fastest team to escape.